the pace for the rest to follow. careful can mess up the whole theme. versions to choose from, you are spoilt for choice. small and large screen sizes. colors and so much more. on Ajax, this theme is perfect for your website. customizable to suite your customers’ needs and convenience. the layout, colors and styles in a few minutes. including Persian, Urdu and Arabic. 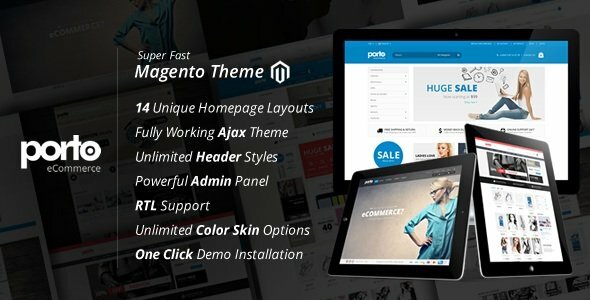 Magento 1.7.x – 1.9.1 Ready! Compatible with Mango Attributes watches Extension. Compatible with Zeon Manufacturer Extension. – Multiple zoom icon shown issue, while loading page. – Mini Search form style issue on mobile browsers. screen resolution is between 992px and 1200px. Checkout page on mobile resolution. – Category label style issues. – Enhanced documentation for installation. – Search box style issue in the header on safari. – Latest Products list issue on Magento 1.9.1. – Transition effect in the homepage sliders. – Minor styles of the Homepage Sliders and Contents. – Added Homepage version 9. – Right corner menu style issue on Sticky Header. – Removed “<br />” from error message on ajax cart. – Quickview issue, when product has no product image. Out of Stock Products” in Filterproducts extension. – Pager Next/Prev button issue on RTL Version. – Added Previous/Next Product Links on Product View Page. – Updated Homepage 5 Slider. – Updated Homepage 6 Slider. – Updated Homepage 6 Content. – Compitable with IWD_Onepagecheckout Extension. – Compitable with Zeon_Manufacturer Extension. – Boxed version style issue. – Update cart issue on edit cart page. 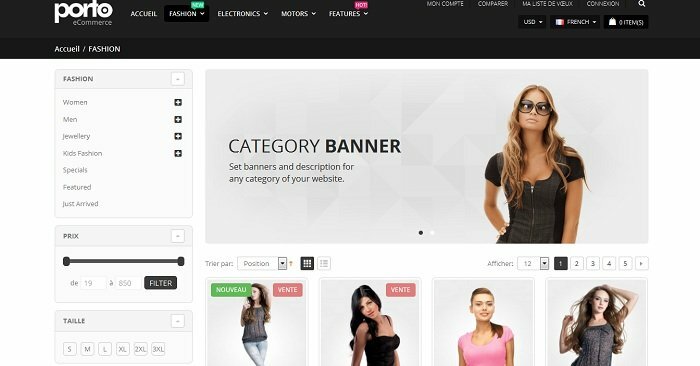 – Continue Shopping issue on cart page, after removed items. – Page top and bottom white area style issue. – Prev/Next Products issue, when enabled flat category. – Add to Cart Button issue, if the product is out of stock. – Footer Ribbon text setting issue on the Theme Setting page. – Ajax cart success popup with auto close timer. – Newsletter Popup close button style. – Newsletter Popup issue after subscribe. – Removed Prev/Next Product in Quickview popup. – Ajax cart timer issue on product view page. – Category Label issue for menu item has no children. – Added Homepage version 10. – Added page layout for max width 1024px. – Added disable border radius option to the admin. – Added theme version update reports. – “No Products” issue, when change the price slider. – Catalog Search Autocomplete style issue. – Color Swatche issue on Magento 1.9.1. – Minor css style issues. – Added Header Type 9. – Enable/Disable Catalog Category Search. – Added Compare link in header top links area. – Product Image issue, when product has one image. – Qty changer issue on cart page. – Shipping Cost Calculator issue on cart page. – Blank month number at the blog date ribbon. – Ajax cart url isn’t correct when product has custom options. – Footer Top doesn’t work if sets it with the custom block. attributes or pagination on Category Page. 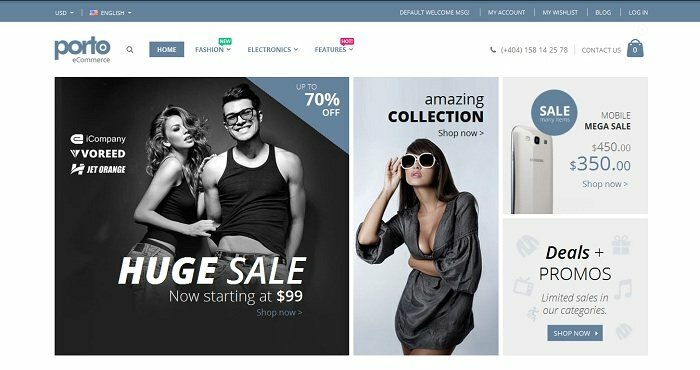 attributes with Ajax on Magento 1.9.1. – Added Easy Demo Install Module. – Added Header Type 10. – Added more Product View Page Config options. – Added custom char sub set option. – Upgraded Home 2 Slider. – Upgraded Home 7 Slider and Color Skin. – Upgraded Home 11 Slider. – Price Slider URL issue with other ports. – Initialize PHP variables for Previous / Next Products Helper. – Division zero issue in mini-cart. – Move Actions is not working after Ajax filter. – Quick view popup background issue for boxed version. – Added Meta Title for Blog. – Added 1280px page maximum width layout. – Added Full width page maximum width layout. – Added 2nd footer middle area. – Added Header Type 11(Full Width). – Added Home Version 13. – Added Home Version 14. – Added Image banner on all pages for full width page layout. – Added Footer newsletter block title configuration. – Added Popular Tags block for footer. – Upgraded Homepage Slider 11.